BREAKING. SABC2 cancels Police File on the very day it's supposed to start. You're reading it here first. Scandal alert brewing and I can tell you all about it first. The old time local TV show, Police File which I was first to spill the beans on last week is CANCELLED. It was supposed to start today at 18:30 on SABC2. There was supposed to be a launch today in Pretoria with SABC2 and the police. CANCELLED WITHOUT EXPLANATION. I just spoke to SABC2 who can only tell me that the show has been replaced for tonight by a rerun of Wild Ltd III. Wild Ltd III will continue in this timeslot indefinitely. Someone else at SABC2 tells me the show was pulled last minute because of ''technical difficulties'' and could return soon. Yet the launch - which I wasn't invited to by the way - was cancelled last minute as well. So. If it WAS really just a technical problem, why not go ahead with the launch and allow the show to just start a week later? . . . I'll keep you updated as I get to the bottom of this. You're reading it here first. The local TV producer/director Michael Lee has just entered his fourth week of a hunger strike/fasting in protest of the SABC. The public broadcaster radically slashed local production budgets and commissioned basically half a BILLION rand LESS in local programmes for next year. Michael who has lost 11kg over the past 22 days, has some choice words for the SABC (which I'll get to below). Secondly it seems misery loves company. He just got 3 people to join him since today. Michael who is producing a film called State of Emergency? and looks at the past 30 (struggling) years of filmmaking in the country, says the SABC's problems go right back to the beginning. ''The SABC is an inhumane institution, and almost always has been. Their actions, as well as the public statements of Kaizer Kganyago and others, shows very clearly that all this noise they've been making about telling African stories is a bunch of empty rhetoric. In reality, they don't care about the audience. . . and they certainly don't care about the people who provide the content that is supposed to build the nation's voice''. He calls the SABC ''cruel, arrogant and foolish'' and says ''these overpaid fools are trashing people's livelihoods and identities''. Gwen Britz a recruitment consultant in the media industry. Thabiso Mafane, a TV writer. Ingi Brough, former band member of the all-girl group Clout. BREAKING. End of an era - It's a wrap for Egoli! You're reading it here first. Moments ago it was the final curtain call for Egoli, South Africa's first and longest running daily soap on television, created for M-Net by Franz Marx. The final scene of the final episode was filmed late today at studio 5 at Sasani Studios, and I just got off the phone with my sources on set. As the final scene for today was filmed at Sasani Studios, bringing Egoli to an end after almost two decades on the air, cast and crew packed around the sides to witness the final scene. Emotions were running high. People were already crying. Tear were flowing. And then . . . the end. According to sources there were tears and hugs as everyone embraced each other for whom the set - over the course of 18 years - have become home. Then, spontaneous applause erupted, lifted by shouts and cheers of joy. Many of the long time cast members filmed their final scenes today. M-Net is keeping the final episode tightly under wraps, but there was definitely a scene with Christine Basson (Nora) together with David Rees (Niek) and Tiffany Kelly (Sonet). Another scene had Hennie Smit (Bertie) and another one was between Michelle Beling (Candy) and Mandi du Plooy (Lara). A wrap party afterwards had mini hamburgers and drinks and even drapery from the sets. The set - one insider referred to it as ''a place of gold over the years'' - will now make way for something else. The individual sets will be dismantled, except for parts that might be kept for the Egoli movie filmed next year. Face of Africa will have 17 episodes with a finale in Lagos, Nigeria on February. Besides all of the other prizes and the modelling contract from O Model Africa. . . the winner gets to spend a day in New York with IMAN Cosmetics. ''Iman represents an icon for African women, for what we can do, what we can offer and what we can be,'' says Biola Alabi, M-Net Africa director. The show starts in October. There's a chemistry and a deadpan funniness and just a radiating joy that makes me chuckle whenever i see them. Together. I can count my real friends who happen to be celebs as well, on one hand - because I can unfortunately not chummy up with those I cover and write about. I always keep my professional distance. But who now do I suddenly NOT want to keep my distance from? Anele Mdoda and Rob van Vuuren who are the new co-presenters of SA's Got Talent that will start on 1 October at 19:30 on SABC2. I promise you they are SUPER FUNNY when you're going to see them from October, but naturally so. They don't make an act of it - they simply are. Viewers are definitely in for a treat with these two AND then there is still the show and the aspiring talent seekers that it's really about. I've already interviewed Anele and Rob when I hanged with them backstage at the auditions (will post those interviews here and the other publications I write for, just before, and when SA's Got Talent starts). Together these two are magical. You see it and you just feel it. They just go with the flow, and each other, and they crack me up. Completely. They're totally on the contestants' side in the show, they talk to the contestants just before they go on before the judges, they over- but then downplay what they do (which works PERFECTLY) and what is BEST - which I can only hope some of it makes it into the actual show viewers will see - is the little moments of COMPLETE deadpan funniness between them. Rob: Hey. Look. Here's a chocolate. I sure viewers will pick up on the dynamic duo's spontaneous and super cool interaction immediately. And love them as much as I do now, too. Mamodupi Mohlala has just been appointed as the new director-general at the Department of Communications. She will start beginning of September. She served as a councillor at the Independent Communications Authority (Icasa) until June 2007. ''If you rob a country of the right to tell it's own stories, then you are killing the culture,'' actor Terrance Bridget said yesterday at the macabre ''death theatre'' public protest right in front of the SABC's doors by the TV Industry Emergency Coalition (TVIEC) yesterday. Producers are rallying and keeping the pressure up on the public broadcaster who still has outstanding debt to pay and is also turning the tap off on current and future production revenue by drastically decreasing the commissioning budget for local content. I speak to producers and studios on a DAILY basis. While I have to say that the TVIEC has a great PR approach (the SABC only has spokesperson Kaizer Kganyago), it really is as BAD and even worse than all of the stories you are reading about this issue. My weekly Friday TV column Op die Kassie appears in Die Volksblad today, I have some advice for Viwe Soga and Rachel Stuart of Flash! on SABC3. Like, you pronounce Josh Duhamel as ''Du-mel'' (like in ''caramel'' and NOT ''camel'') and John Statham as ''Stay-tem''. . . If you don't get people's names right, you're going to be called out like Katherine Heigl did to the Emmy voice-over announcer woman who also obviously didn't practice or bothered to ask a producer to confirm whether you say it ''Hee-ghil'' or ''Hi-gull''. Do you know how to say her name? You're reading it here first. 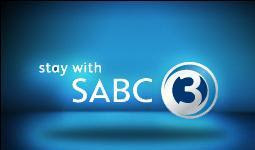 SABC3 is losing its acting programming manager. On the heels of the sudden resignation of Pearl Luthuli who oversaw commercial public broadcast services at the SABC (the boss above SABC3 amongst other things), SABC3 just had another resignation. Today is the last day of Sarah Mia, the acting programming manager who, acoording to insiders, will be taking a sabattical of sorts. ''She just needed a break,'' says SABC3 personnel. Her work will be done by Joy Reba who is responsible for local programming until the broadcaster has found a replacement. Besides the programming manager (the person who looks at WHAT shows are available and suitable and could be shown), SABC3 also recently lost it's scheduling manager who decides WHERE on the schedule a show goes, like what month, date and timeslot. M-Net just confirmed that the Nigerian TV star IK Osakioduwa will be the presenter of Big Brother Africa: The Revolution that kicks off next weekend. ''I hate to confess it but, I remember days when I stayed up watching people in the house sleep,'' he says. Funny. I always wanted to watch shower hour. BREAKING. What old time TV show (a local one) is returning to SABC2? You're reading it here first. Take a guess at what old time TV show, for years a staple on the public broadcaster, is making a comeback? I'm revealing here first that Police File is coming back to SABC2. Of course not so much yet as a peep out of SABC2. It's a crime. Anyway, the channel is set to have the official launch with the South African Police Service on Monday in Pretoria. Police File will start on Monday 31 August at 18:00 on SACB2. I can only guess that I myself have become a victim of crime and that my invite must have been stolen. Other scoop? The show will be divided into short segments, and used as necessary. They will be ''Crime Awareness'', ''Missing'', ''Provincial Focus'', ''Community News'', ''Feedback'', ''Wanted'' and ''Hints & Tips''. The police has worked with SABC2 at reintroducing Police File as something to help advance community participation in crime prevention again, especially looking at 2010. Of course I haven't heard anything from SABC2 about any of this yet. It's a crime. You're reading it here first. The name of e.tv's first new local drama starting on Monday 5 October at 21:00 is Secret Lovers. I've known for a while about e.tv's production plans for a few new local shows and this 5 part local, hourlong drama is the first one going out. How does Secret Lovers start? Well . . . BREAKING. SABC3 is back in form. Get ready for GREAT shows! You're reading it here first. While the magazines who are supposed to tell you about it, can only do so only in a few weeks - if they ever do - I have the complete schedules for SABC3 until the end of the year (note: it's preliminary scheds, so things can still change). But you can truly start salivating. And for once in a long time, about SABC3. Jot down the dates for these SUPER HOT shows that SABC3 is making space for on the channel's line-up. 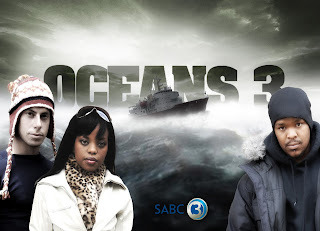 From the look of it, SABC3 seems eager to fight back and reclaim the space of it's former slogan ''quality shows''. I'm glad. There's several more nuggets hidden in the longform schedules I just scoured through with a magnifying glass ( as is my way) but here are some of the really top rated stuff SABC3 has in the works that I promise won't disappoint you. (I've watched most of these already and enjoyed them). NOT ON: The new season of The Tyra Banks Show was supposed to start in September, but because of delayed repeat episodes of The View that the channel must broadcast (don't blame SABC3), the start of Miss Tyra has been pushed out. JUST WAIT FOR IT: The new season of The Oprah Show should start somewhere in December, just two months after the new season that will start on 24 October in America. BREAKING. On Digital Media (ODM) delays starting date. AGAIN. You're reading it here first. 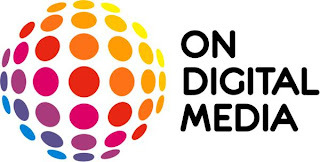 DStv's great competition, On Digital Media (ODM) is pushing back it's starting date. Again. This will be the THIRD time that ODM is re-stating it's starting date. 1.Initially ODM was supposed to be up and running by the beginning of 2009. 2.ODM restated and said it will start broadcasts by mid-2009 (meaning July/August). 3.ODM restated again and said it will start broadcasting ''in the 4th quarter'', later clarifying this same timeframe as putting it later rather than earlier in the 4th quarter. 4.I've just FINALLY tracked someone down at ODM, telling me the satellite operator is now looking at the first quarter of 2010. Subscribers will need a separate set top box/decoder and satellite dish. The company that just moved into a new building is also currently recruiting personnel. What does opera singer Mimi Coertse, Mark Shuttleworth , Tina Jaxa, Barry Ronge and Tim Modise have in common? A record 236 nominations were received for position on the new permanent SABC board. I've just finished reading through the list of just names and did some research. Some of the people nominated include opera singer Mimi Coertse, IT billionaire Mark Shuttleworth, Barry Ronge and Tim Modise. Several other media elite appear. Government will start to sift through the names from September to make appointments since the interim board's mandate expires at the end of December. You're seeing it here first. This is the new logo for Big Brother Africa: The Revolution. The next season of this reality show produced by Endemol SA starts on 6 September and ends with a live finale on Sunday, 9 December after 91 days. The prize money has been doubled to $200 000 and the house at Sasani Studios will have double the number of cameras (40) and microphones (100). This time viewers will vote for who they want to STAY in the house. ''The team’s been working for months already, fine-tuning the latest edition, focusing on delivering the ultimate Big Brother Africa. We’ve got quite a few secrets this time round, so you’ll have to wait and see what happens. We aren’t going to give away all our surprises, but it’s definitely a new series and we mean new,” says M-Net Africa director Biola Adekanbi. 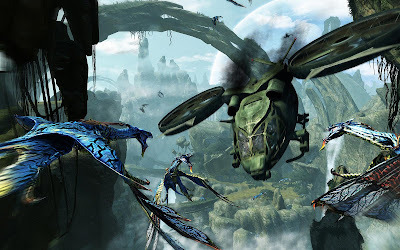 You're reading a South African review based on the preview trailer screening for Avatar here first. Right. As I said on Monday, my calendar for Friday was circled to watch the trailer (it's James Cameron, so it's an event) for the new movie Avatar in 3D. What a great way to end a work week and start the weekend. The Titanic director will have Avatar in movie theatres worldwide on 18 December and Mu Metro Films is releasing it here in South Africa. 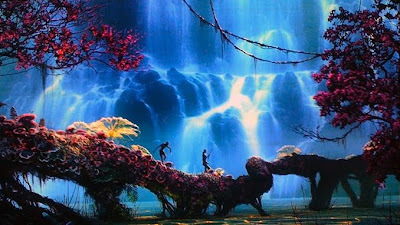 The futuristic utopian/dystopian world of Pandora where the movie is set reminds me of a somewhat Disneyfied The Lost World – although I don't mean it in THAT wat. I don't mean cute, I mean colours, hues and mood. The 3D effects are amazing. Honestly. My impression of the story is a kind of Dances with Wolves/The New World Colin Farrell-meets-Pocahontas in an idealised Fantasia setting. With dragons. In one scene the main protagonist played by Sam Worthington (turned into an alien or so-called Avatar) tames a dragon. Classic fantasy if you've ever read any dragon tale. The 3D glasses are amazing. Not your 1950's variety. Very comfortable, not distracting at all and really creating something YOU NEED TO SEE if you haven't experienced 3D before, or haven't experienced it in a while. And I'm sure they were not talking about the complimentary popcorn and Coke. You're reading it here first. SA swimmer Roland Schoeman has quit the Tropika Island of Treasure 2 reality show (Brought to you by e.tv! Brought to you by Tropika! Brought to you by 1time!) going out on e.tv from 18 October. So what will now happen to people who paid and sent in SMS votes for R2 to possibly play and team up with him specifically? I blogged this past Friday about my MAJOR BEEF with the lame way in which those behind the scenes screened the press, asked them ''to register your interest'' and required media to say beforehand what value and coverage they can promise upfront before they'll be invite to join the show on the island. (Read: allowed to go with this advertiser funded show). Now there is this as well: Tropika and e.tv made a big fuzz about one of the contestants being Roland Schoeman. People can enter to team up with a celebrity. You have to enter by sending an SMS to 34112. It cost R2. Now Roland, the biggest celebrity in the contestant pool has quit e.tv's reality show. Before it has even started. He's in the cast pic first on the left in the back row. ''Due to Roland Schoeman's swimming committments he has unfortunately withdrawn from Tropika Island of Treasure''. Tropika scrambled to replace Roland with 7de Laan's Hendrik Cronje who plays Lukas. So, what will happen now to contestants who SPECIFICALLY decided to enter because Roland Schoeman was a contestant, and SPECIFICALLY sent an SMS with his name? Will they all get their money back? Can Tropika keep the money of people who entered a competition of which the terms and conditions has now changed? 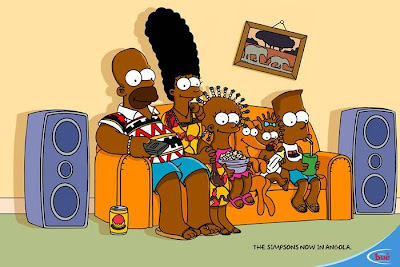 This is a real ad campaign conceived for DStv's Africa service where the channel Bué in Angola now shows The Simpsons. The ad agency Executive Center in Luanda, Angola ''adapted'' Springfield's famous yellow family. The illustrator is Goncalo Lopes. M-Net should be sending out an official press release sometime during the afternoon. You're reading it here first. The SABC has replaced Pearl Luthuli with Lesley Ntloko. I've just confirmed with the SABC what I heard this morning - that the former MetroFM station manager is steping in for Pearl who packed her stuff and vacated her office on Friday. The SABC stresses that Lesley is only ACTING as he's filling the void left by the lovely Pearl who was the SABC group executive for public commercial broadcasting service - basically in charge for the money making sections of the SABC, like SABC3 and the commercial radio stations. 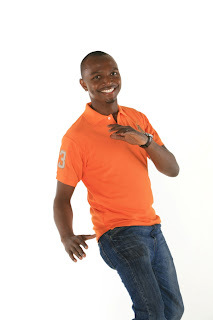 Lesley has been working in the SABC's content enterprises division since he left MetroFM. He is currently general manager: international content within the division. I just heard back from e.tv on my post from earlier today and have updated the story with a response. I've just heard from e.tv regarding the channel starting e.tv in Ghana and I've updated the post of earlier today. You're reading it here first. 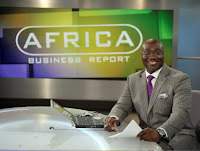 BBC World News (DStv 400) will start a new show on Saturday, Africa Business Report presented by Komlu Dumor. It's ''the channel's first major TV series dedicated to African business,'' says BBC World News. Africa Business Report's first episode comes from South Africa. ''It's a privilege to present Africa Business Report during a time in which the continent is developing its economic growth and business future,'' say Komla. E.tv has decided to block it's free signal in Zimbabwe where viewers got it through using the WizTech decoder to get the channel as well as the SABC's 3 free channels, SABC1, SABC2 and SABC3. (The SABC is expected to soon block these channels as well. E.tv is actually now blocking it's channel in the whole of Africa and I'm awaiting official word from e.tv. I'll post an UPDATE as soon as I get anything. 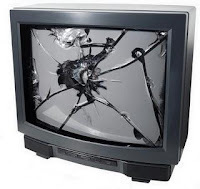 Viewers will have to go back to Zimbabwe's sad ZBC, while 700 Zimbabwe TV viewers have reactivated their DStv subscriptions already in just the past few days. UPDATE 14:00 - I've just heard back from e.tv regarding this issue. The channel says e.tv's signal - that was pirated by certain viewers in Africa - presented certain rights issues. E.tv didn't have the right to broadcast certain material (eg. movies) to the rest of the continent, ''so it became important for us to stop those broadcasts for this reason,'' Vasili Vass, e.tv spokesperson just told me. BLIND ITEM. Who is talking? Since two weeks ago my phone beeped and the email came in with multiple sources spilling the beans. 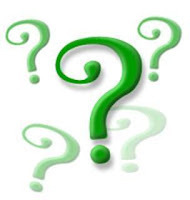 Here's a cliffnote for you - which channel is set to announce tomorrow (Thursday), in which local newspaper in the morning (although it's tonight), a new show fronted by a local radio personality who will now be doing double duty soon? Going hopefully more successfully where Paul Viv and Kgomotso Matsunyane and Phat Joe have gone before. I'm not spilling, but tomorrow I can tell you I knew long ago already when the development phase started a few months ago. e.tv will be lanching soon Ghana. e.tv doesn't have s specific launch date yet. The channel will be free, broadcasting for 24 hours a day, with some local shows (like a breakfast show called Rise and Shine and 20:00 Prime News news bulletin) as well as the channel's local South African soaps, Scandal and Rhythm City. International shows are the same as in South African, including the international soap The Young & the Restless, Fear Factor and the WWE Wrestling. e.tv in Ghana is run as a partnership between Global Media Alliance Ghana Ltd. and Sabido Investment Ltd in South Africa that owns e.tv. I'm waiting on official word from e.tv on this and will post an UPDATE when I get it. UPDATE 13:55 - e.tv was super fast getting back to me. ''e.tv is excited to be involved in this new venture and looks forward to e.tv Ghana becoming a market leader in West Africa,'' says Bronwyn Keene-Young, e.tv's chief operating officer. ''Our programming is focused on the audience and what they want to watch. We will offer top-notch programming,'' says Akwasi Agyeman, chief executive of e.tv Ghana. Will e.tv derail or stall South Africa's digital TV migration effort? E.tv's urgent court interdict might delay, derail and stall South Africa's digital TV migration plans. E.tv has lodged an urgent interdict at the Gauteng High Court which will be heard on Tuesday 15 September. The broadcaster is upset with and wants to immediately halt the implementation of the regulations published by the Independent Communication Authority of South Africa (Icasa) that govern the switch over in the country from analogue to digital broadcasts, known as digital terrestrial television (DTT). If the interdict is granted, it could delay the process by literally months, even a year or more. 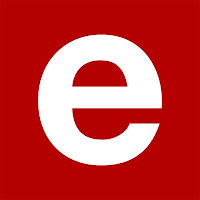 E.tv is also upset that the broadcaster is basically forced to make use of Sentech's services as signal distributor (the SABC uses Sentech too) and that e.tv could be held liable for certain fines on a technical basis. E.tv says Icasa failed to look at e.tv's recommendations during the public consultation process, failed to hold public hearings when the final draft was drawn up (Icasa says the law only says it MAY hold hearings; not that it MUST) and that the final version is very different from the earlier versions. I read the final one when it came out, yes, it is VERY different. I asked Icasa for comment today on the interdict. I was told there's NO COMMENT. I asked the department of communications today for comment on the interdict and whether the minister plans to oppose it. I was told there's NO COMMENT. I asked e.tv for comment on the interdict. ''E.tv would however like to reiterate though that we are committed to the DTT migration process in South Africa and believe it is crucial that the regulatory framework is strong, thereby ensuring that broadcasters are able to remain viable,'' says Vasili Vass, e.tv spokesperson. Will Avatar be like Titanic? This Friday evening I will go to watch 20 minutes (as a sneak peak) of James Cameron's new movie Avatar that will come out in December worldwide. In South Africa (as also in America this Friday evening) film critics will be shown the first 3D footage by Nu Metro Cinemas. The super size trailer of this futuristic thriller includes a message from the director himself. It's also classic James Cameron: When Titanic started, he released a 4 minute trailer - twice the typical length. 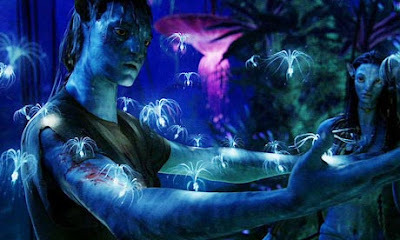 The movie of $240 million, taking place on an alien world called Pandora, stars Sam Worthington. You're reading it here first. Earlier today I was first to tell of the shockwaves reverberating inside the SABC's Auckland Park head office with the SHOCKING news that Pearl Luthuli, the SABC's group executive for public commercial broadcasting services is no more. 1. Pearl's office is cleaned out and locked. 2. Managers, including SABC3's channel head Mathe Mosito were all summoned this morning and informed together that Pearl is gone. 3. No word yet on a (temporary) replacement for ''Pepe''. 4.The SABC just told me they acting CEO received her letter in which she said she ''resigns with immediate effect''. 5.No announcement has yet been made to the ''First Citizens'' inside the SABC about Pearl's post partum party trick. BREAKING. SABC still owes producers R18 million. But now has a payment plan. You're reading it here first. The SABC still owes TV producers in South Africa R18 million. Or more precisely: R18 319 636,00. I've just gotten my hands on a presentation by Mvuzo Mbebe, the SABC's group executive for Content Enterprises. Basically the SABC - who actually has done good reducing the R80 million it still owed local producers at June - swill pay smaller amounts first and stagger bigger payments over the next few months for bigger outstanding invoices. BREAKING! Pearl calls it quits. You're reading it here first. Shocking news just in, that I just confirmed through multiple trusted sources: Pearl Luthuli, SABC Group Executive: Public Commercial Broadcasting at the SABC has resigned. Pearl Pamela ''Pepe'' Luthuli has served in this position since October 2005 and was basically in charge of SABC3 as well as the SABC's commercial radio stations. She came under fire last year because of SABC3's sagging ratings and huge loss of advertising income. WATCH WORTHY. Amazing Race is back. With a marathon sprint. You're reading it here first. The reality show The Amazing Race is back in October on Sony Entertainment Television (SET) (DStv 113). 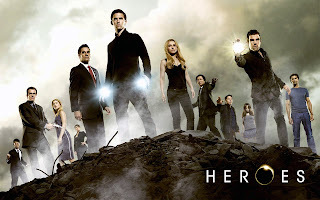 The 14th season will start on 11 October at 19:45. Some of the teams who will be racing around the world this time include Harvard lawyer graduates who are brother and sister, a Hollywood writer and his gay dad, stuntmen brothers, the first ever deaf contestant and his mother and - gotta have them - a pair of former cheerleaders. There will also be a catch-up Amazing Race marathon weekend. 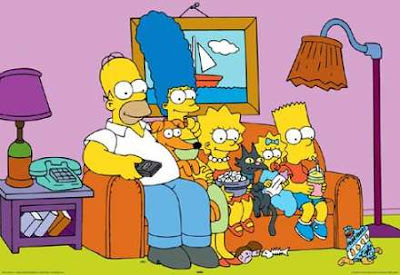 The 12th season will start as a marathon broadcast on Saturday, 3 October at 11:15. The 13th season will start on Sunday, 4 October at 11:15. Bad for e.tv for allowing this. The closing date is apparently today for press to ''apply'' to go along for a week to Zanzibar where Tropika Island of Treasure 2 (Brought to you by e.tv! Brought to you by Tropika! Brought to you by 1time Holidays!) will be filmed. It will go out on e.tv at 19:30 between 18 October and 6 December. In another crass and new low, journalists and media outlets can look forward to ''Tropika also taking representatives from a full range of media''. The lovely 1time Airlines will fly everyone. The lovely Dream of Zanzibar Planhotel is where everyone will stay! Whoo. I spoke to Shirley Kiezer from Stimulii. Media and journalists have to ''apply''. You have to say beforehand WHAT you are going to write about. WHO you are going to profile (the contestants are Loyiso Bala, Kelly Khumalo, Roland Schoeman, Trevor Noah, Banca Le Grange, Sizwe Dhlomo, Lira, Shashi Naidoo and Tasha Baxter and Speedy). You have to say beforehand what COVERAGE you promise and how it will happen, and what the VALUE is of the coverage. Do know that when you see any story dished up as looking like any kind of editorial content from the island stay for Tropika Island of Treasure 2 (Brought to you by e.tv! Brought to you by Tropika! Brought to you by 1time Holidays!) that is was BROUGHT, that the journalist whose name appears with it has signed away their editorial integrity and independence, has to write about it even thought it might be lame, and has seriously breached their own journalistic ethics and standards. Also BAD on e.tv, SUPER BAD on Stimulii to even request such a thing and SUPER SUPER BAD on the journalist and TV writers who fall for this. I've been on MANY junkets both locally and overseas, for M-Net, even the beleaguered SABC, as well as DStv and MultiChoice. This is not standard practice. They don't ask what you can do for them. They don't ask what the VALUE is. They know beforehand that an invite extended is for possible coverage and that the product will speak for itself. Basically Tropika Island of Treasure 2 (Brought to you by e.tv! Brought to you by Tropika! Brought to you by 1time Holidays!) on e.tv now buys journalists, editorial coverage and even the slant of that coverage. Is Tropika Island of Treasure 2 (Brought to you by e.tv! Brought to you by Tropika! Brought to you by 1time Holidays!) going to be SO BAD that press must be bribed by Tropika and Clover SA for coverage? Thanks e.tv, I can't wait for this show to start. . . BREAKING. Local TV producer on hunger strike! You're reading it here first. A local TV producer, Michael Lee is on a hunger strike because of the SABC. Michael Lee (41) is NOT EATING because of what he calls ''the callousness of the SABC''. He's also currently busy producing a film of 30 years of film in South Africa, entitled State of Emergency. "But the hunger is not bad, not bad at all. Yet." You're reading it here first. The TV Industry Emergency Coalition (TVIEC), the group formed in March to collectively confront the SABC about non-payment to producers (as well as other issues) are planning GUERRILLA THEATRE PROTEST action against the SABC. After the public protest March in July organised by the TVIEC the group has now established itself in a powerful lobbying position. Earlier the week I spoke to SEVERAL more producers and heads of film studios aroud the country. The situation regarding backscaled commissioning of shows and non-payment is honestly dire and getting more so every day. I was first on Wednesday with a story in Die Burger newspaper on the teacher Barend van Vuuren who stunned and absolutely wowed the crowd and judges with his poem at the auditions of SA's Got Talent that starts on 1 October at 19:30 on SABC2. I just followed it up with a story on the front page of Die Burger today after i tracked and traced him for two days. I spoke with him yesterday back in his classroom in George. Barend certainly has the Susan Boyle factor - unassuming . . . and then. . . AMAZING! He certainly could make it far in this reality show if judged by the wonderful and loud applause he got from the audience. Can't spill everything just yet but I went to the auditions for SA's Got Talent on Tuesday that will start on 1 October at 19:30 op SABC2. Here's a few pics I took to tie you over in the meantime. 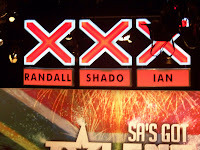 In my judgement SA's Got Talent is sure to be a ratings hit for SABC2. The charm of the show? (1) The unexpected surprise factor of the contestants. It's classic Susan Boyle stuff. You see someone and think they're going to be bad. Then they're excellent. You see someone and think they're going to be bad. And then they're awful! It's excellent. And because contestants are allowed to do SIMPLY ANYTHING, you get the craziest and most outrageous and strange behaviour on stage. (2) The chemistry between co-hosts Anele Mdoda and Rob van Vuuren. They're REALLY a funny pair. (3) The tension between Randall Abrahams as BAD JUDGE, Shado as mother figure/mother hen in the middle and Ian von Memerty (funny guy!) as GOOD JUDGE. Ooh. Can't wait for the showdowns that's looming between this judging dynamic. 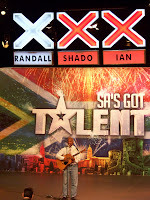 SA's Got Talent should be as awesome as the overseas versions has been, judging from the day I spent there. Everything works, the production values are great, the audience clapped and cheered (without being cheered on), and the contestant variety will prevent the show from being dull. I've spoken to both Anele and Rob as well as all three judges, the interviews (with HOT scoop) will run as soon as he show starts. Programming note. You're reading it here first. 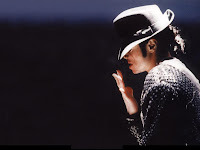 e.tv plans to air Michael Jackson: 30th Anniversary Celebration Concert. MJ is on e. Of course Michael wasn't on ecstacy. He preferred it seems, harder drugs. (But just to help him sleep.) Anyway, e.tv has just adjusted the line-up to make space for the David Gest produced special that will go out on Saturday, 29 August at 20:00. It was recorded at Madison Square Garden in New York. Thinus Trivia: The broadcast date of 29 August would have been the gloved one's 51st birthday. Here's a programming note. Michael Gill is the designer of the awesome All Access set. I got these exclusive set pics first. I just truly LOVE this set ever since I saw it for the first time. Michael Gill is on the show this evening at 19:30 on M-Net to talk about the set design, how he came up with it, how it was constructed etc. The dude also did the new e.tv lobby (check the post below). Thinus Trivia: You won't know it, but the set stands in the studio that housed the original Big Brother house, where M-Net had there awesome 20th anniversary party and where the Idols Monday night eviction shows were held. Only I have these pics and can show you what e.tv's new front entrance and lobby looks at e.tv headquarters in Hyde Park. Not too shabby hey, Nige? Spoke to Michelle Kirby, head of marketing at e.tv about what the makeover entailed. Michael Gill is responsible for the design (he also did the studios for the eNews Channel (DStv channel 403) as well as that magnificent set for All Access on M-Net). The central, circular reception desk - all wood paneling and glass and metal, might remind you of Ugly Betty. The glass and perspex red and transparent screens incorporated into the design and layout is amazing. It really makes e.tv look like a TV station. Compared to the other broadcasters in the country when you visit their lobbies, e.tv now wins hands down. BREAKING. SABC accused of ''bulk commissioning''. You're reading it here first. The TV Industry Emergency Coalition (TVIEC) is accusing the SABC of planning ''bulk commissioning''. In order for the beleaguered public broadcaster to save money, the plan is now to commission a lot of shows, from just a few big producers who can handle such orders. The TVIEC says bulk commissioning will ''cause irreparable damage to the independent production sector and to the SABC’s credibility''. I'm waiting on a response from the broadcaster. UPDATE: Wednesday, 17:00. The SABC tells me the broadcaster has ''always'' done bulk buying. ''Bulk buying is nothing new,'' says SABC spokesperson Kaizer Kganyago. ''We don't have any new plan.'' He says the SABC can't pay off debt and then make new debt. You're reading it here first. I'm first to tell that the SABC2 documentary show Who do You Think You Are? that just disappeared will now be back from this Sunday, 16 August at 21:00 on SABC2. I've had a lot of enquiries about this show produced by Rapid Blue for the broadcaster and viewers who wanted to know why it left the air after only a few episodes. Also some episodes suddenly got repeated without warning, like one about Tumisho Masha and then the show disappeared. And that was after SABC2 went big with the local celebs who would be profiled. You're reading it here first. I'm first to tell that M-Net has made a sudden change to their schedule. The pay channel will start with a new, what it calls ''Action Reality Fridays''. From 25 September M-Net will have two reality shows on a Friday evening between 19:00 - 21:00. It starts with The Cougars. Also the new and fifth season of The Office that was scheduled to start on 18 September at 19:00 will no longer be on M-Net. No word yet from the channel on what will replace the timeslot. You're reading it here first. 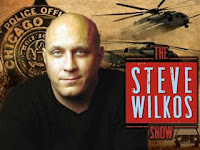 I'm first to tell that e.tv has just decided to cancel the daytime talk show The Steve Wilkos Show. Steve was Jerry Springer's main bodyguard dude before he got his own spinoff show. The last episode will go out on 25 August at 13:30. It will be replaced with repeats of wrestling. The broadcaster isn't giving any reasons why. E.tv is suddenly canning a lot of shows and not replacing it with new programming but repeats. It means that the broadcaster (a) don't have money or is trying to save for other projects (i know of something BIG. Like AFRICA big. A scoops which I'm not going to dish about just yet) or (b) is making short term line-up changes that it didn't plan for.